(CNN) It’s not every day you get to hold a 700-year-old banknote in your hands. And for Ray Tregaskis, head of Asian art at Australia-based Mossgreen auction house, the rare opportunity felt like the discovery of a lifetime. Tregaskis came across the treasure while inspecting the underside of a 14th-century wooden Buddhist sculpture. There, hidden inside the cranial cavity, he found a crumpled-up piece of paper. Upon closer inspection, the unassuming parchment turned out to be a 700-year-old Ming Dynasty banknote — among the earliest printed currency in China. “This is the first time, that we know of, that a banknote has been discovered inside a wooden Buddhist sculpture,” says Tregaskis. Antique Buddhist sculptures are well-known treasure troves, but this banknote proved to be a unique discovery. 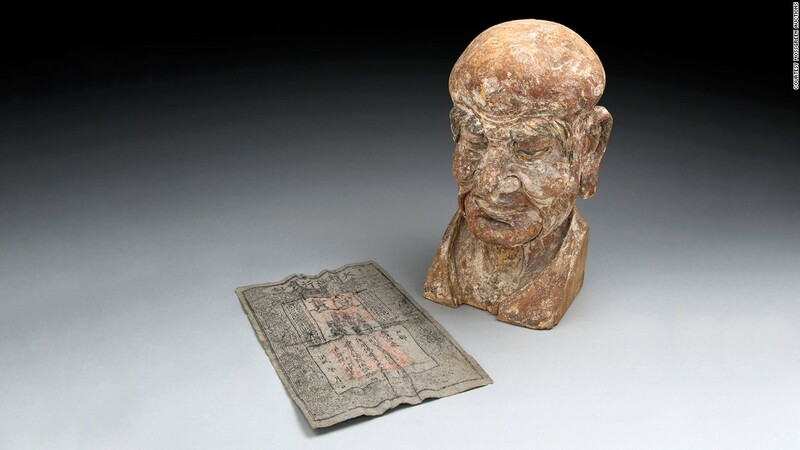 “It’s typical to find materials such as mantra rolls, relics, grains, incense and semi-precious stones that have been placed inside gilt bronze sculptures by a monk or lama,” says Luke Guan, a Mossgreen Asian art specialist. It’s impossible to know for sure how the money ended up hidden inside the artwork, but thanks to dates printed on the note, Mossgreen’s specialists have been able to verify the age of the sculpture and better understand its history. Most likely, they believe a patron may have placed the banknote inside while commissioning repairs — an estimated 40 or 50 years after the sculpture was first made. This date itself is estimated to be sometime in the 14th century, as both the bank note and carving style suggest the artwork was created during China’s Hongwu period. 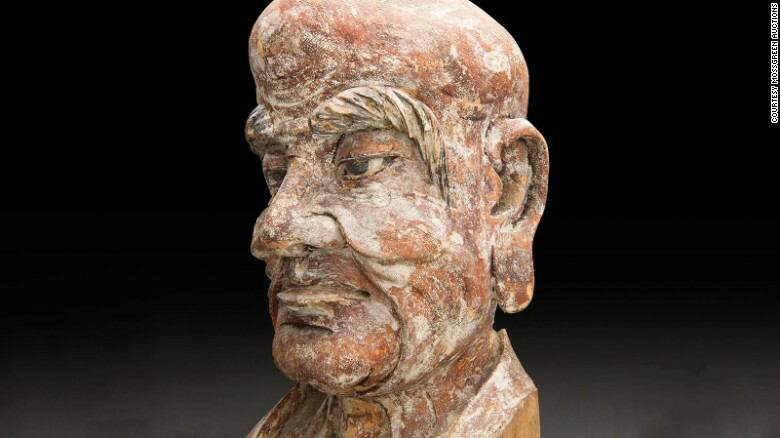 The wood sculpture represents the head of a Luohan, a wise person who has passed through the four stages of Enlightenment and reached Nirvana, in Buddhist culture. Appearing calm and confident, the sculpture’s expressive features are clearly visible in the exaggerated lines and curves of the face. According to Guan, the sculpture would have been part of a series of anywhere from 16 to 500 sculptures, usually kept inside a Buddhist temple for worship. The banknote itself is more than 700 years old, and was made during China’s Ming Dynasty, which spanned almost 300 years, from 1368 to 1644. The period under the Hongwu Emporer, Zhu Yuan Zhang — the founder and first emperor of the Ming dynasty — was a prosperous era fueled by strong international trade and a growing population. 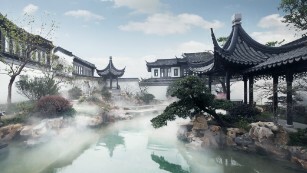 During this time, China replaced its traditional currency of silver and gold with paper money. The “one guan” banknote was the highest denomination available at the time, and was equivalent to “one liang” of silver — which is a face value of about 660 RMB or roughly $98. 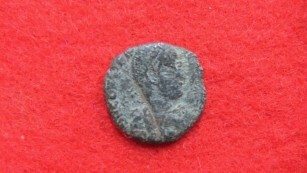 If sold alone, its auction value today is estimated to be between $2,000 and $4,000. 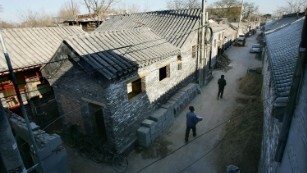 Can technology save Beijing’s hutongs? Aside from its inherent value, the banknote lends additional insight into the era. 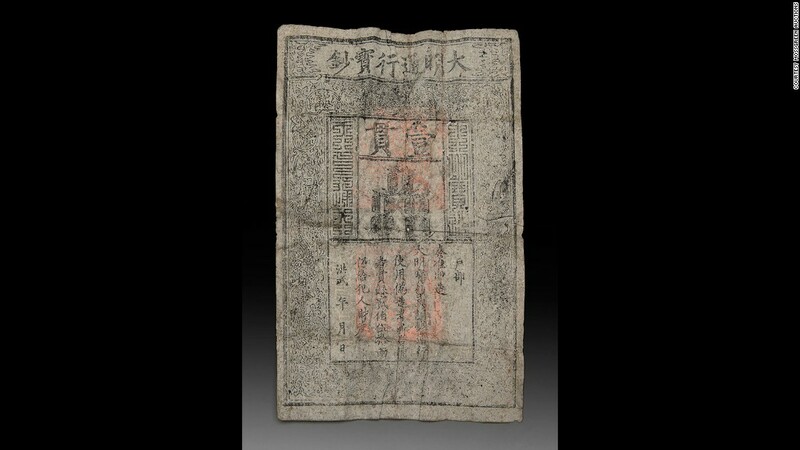 At the time, bills in China were crafted from handmade mulberry bark paper and printed using a carved woodblock, a technology that has played an important role throughout Chinese history. Dating back to 868 AD, this printing method enabled the dissemination of information, art and literature. The sculpture and banknote embark upon a world tour this fall and can be viewed in Melbourne, Australia from October 21-23, London, UK from November 3-6 and Hong Kong from November 24-27. The sculpture and banknote will return to Mossgreen in Sydney, Australia in December, ready for auction. The pair are part of the “Raphy Star Collection of Important Asian Art” and together are estimated to fetch between $30,000 to $45,000.